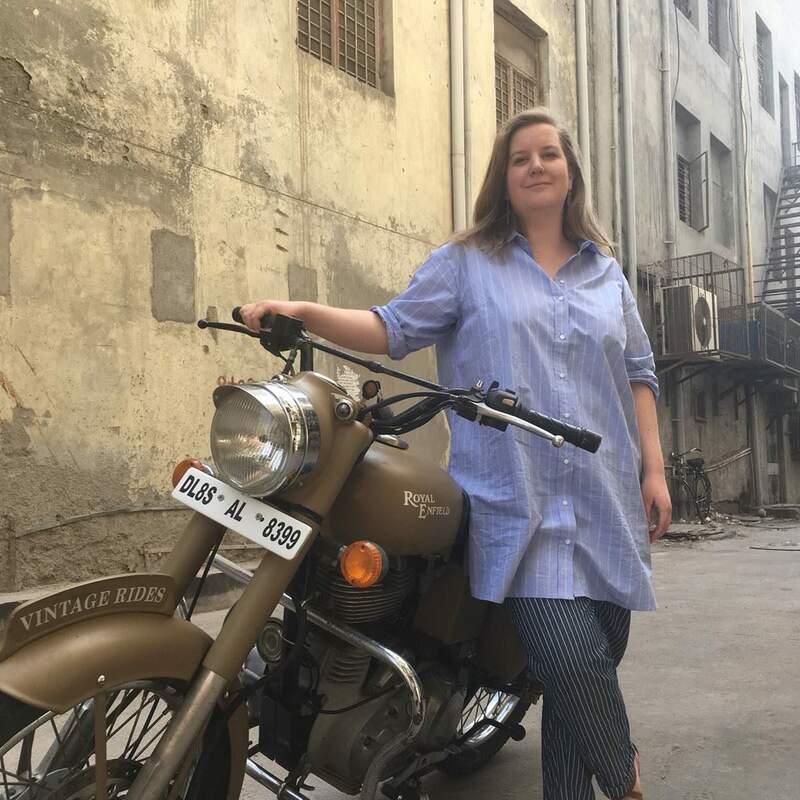 Why not go on a motorcycle trip in Uzbekistan? Situated at the heart of Central Asia, Uzbekistan is an important melting pot of civilisations. 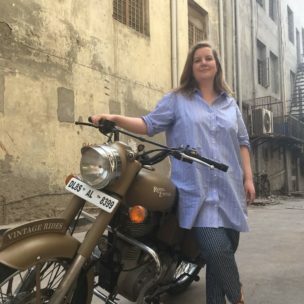 A Royal Enfield trip in Uzbekistan is a unique adventure of its sort. Travel in the footsteps of the great empires of Alexander the Great, Genghis Khan and Tamerlane. 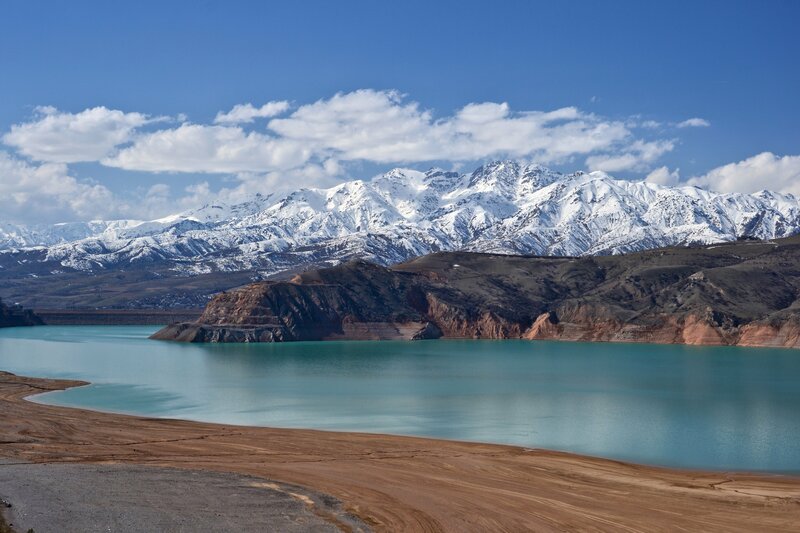 From the Aral Sea to the foothills of Pamir, you will be mesmerised by the beauty of the landscape: deserts, mountains and steppes as far as the eye can see, lakes, glaciers and rivers. Ride into the heart of the Kyzyl-Kum desert. Follow the sublime tracks leading to the Fergana valley in the country’s East, close to Kyrgyzstan. Explore the mythical mega cities in the country: Samarkand, Bukhara and Khiva. Discover a fabulous architectural and artistic heritage, a testimony to the fascinating history of the Silk Route connecting China to the West. With a diversity of people, religions and traditions, Uzbekistan is a kaleidoscope of cultures that emerged from the confrontation of Communism and Islam. For those who are interested in adventure and culture, Uzbekistan is the pearl of the East, combining magnificent landscape and unsurpassed sites in central Asia. Not to forget the generous and warm Uzbek people. 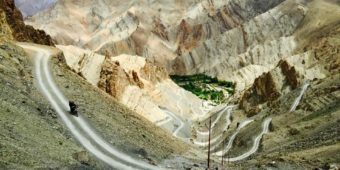 A motorcycle tour in Uzbekistan promises you an extremely authentic journey. When should one travel in Uzbekistan? 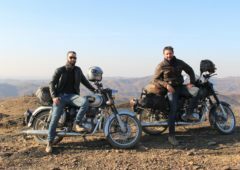 The best season for a motorcycle trip in Uzbekistan is in spring and autumn. 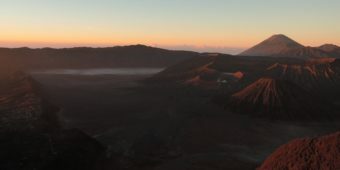 The excessively continental climate is distinguished by very high variations in the temperature, with thermal amplitude that could reach up to 20°C. Spring delivers perfect weather conditions. In the months of April and May, the skies are clear, the air is cool and the days sunny. During the autumn season, in the months of September and October, the temperatures are still mild before winter sets in. This is also the harvest season making it easy to find fresh fruits and vegetables in the market. There is significant temperature difference between the desert and mountain areas. In July-August, you can travel only in the mountainous parts. Elsewhere, the summer is blistering with a hot and dry climate and heat wave conditions. The temperature is more than 40°C at Tashkent, Khiva or Termez. Rainfall is very low in Uzbekistan except in the mountains where there is rain essentially in the month of Mars. In the summer, the temperatures are stifling at Tashkent. In the winter, adverse weather conditions prevail from late December to mid February. From the Aral Sea in the North to the Pamir Mountains in the South, Uzbekistan’s geography is diverse and unique. A landlocked country between Kazakhstan, Tajikistan, Turkmenistan, Kyrgyzstan, Afghanistan, it has two main rivers: Amu-Darya and Syr-Darya, which flow into the Aral Sea. The country covers 1 425Km from West to East and 930Km from North to South. 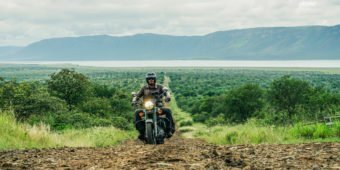 During a motorcycle trip in Uzbekistan, you will ride through a part of the immense desert of Kyzyl-Kum, or “red sand” in Uzbek, which covers two-thirds of the country. Uzbekistan is a great authentic, pure and intact land with its vast expanses stretching out into the horizon. A few mountain ranges of medium altitude break the monotony of the desert, including the Nurata Mountains to the south of Lake Aydar Kul. Head to the southeast and the Fergana valley, a very fertile plain nestled between the foothills of Tian Shan and Pamir ranges. Thanks to an exceptional temperate climate, the region is home to the majority of the crops, between orchards and cotton fields. The snow peaks reach an altitude of more than 4000m. The highest peaks are found instead in the neighbouring Kyrgyzstan and Tajikistan. Uzbekistan’s history starts with the Persian empire of Achaemenid and the foundation of the future Samarkand in 700 B.C. Later, in the 4th century B.C., Alexander the Great conquered Central Asia. At that time, the major commercial routes passed through the present Uzbekistan. 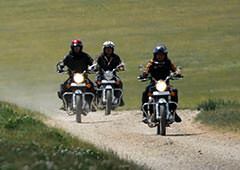 During your motorcycle trip in Uzbekistan, you will ride on the some portions of the ancient Silk Route. In the 13th century, the country suffered from Mongol invasions by Genghis Khan’s armies which destroyed several cities including Samarkand. In the 15th century, it was the turn of Tamerlane Empire to invade Uzbekistan. In the beginning of the 18th century, the Russians became interested in the region because of strategic and commercial reasons. From 1865 onwards, they gradually took control of the country and the government of Turkestan was formed. The region officially became an autonomous republic within USSR in 1924, under the name of Uzbekistan. One had to wait until 1991 for the independence of Uzbekistan with the first elections and the victory of Islam Karimov, the former leader of the Uzbek Communist Party, who remained in power for 25 years. A crossroads of civilisations, influenced by the greatest empires, Uzbekistan is a rich blend of cultures and religions such as Zoroastrianism, Buddhism, Christianity, Islam and enriched with the local shamanic traditions. 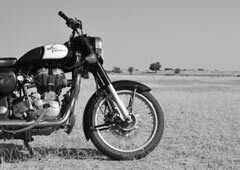 Interested in discovering this new adventure by motorcycle? Make sure you don't miss out on the first open departures! Leave us your contact details and we'll keep you informed about the launch of the trip, by phone or email.